Expose your data and processes as APIs and manage their lifecycles. Promoting co-ordination and co-innovation between your customers, partners, and developers. Build, test and deploy APIs to share and extend data and processes, allowing your services to be consumed on any platform. 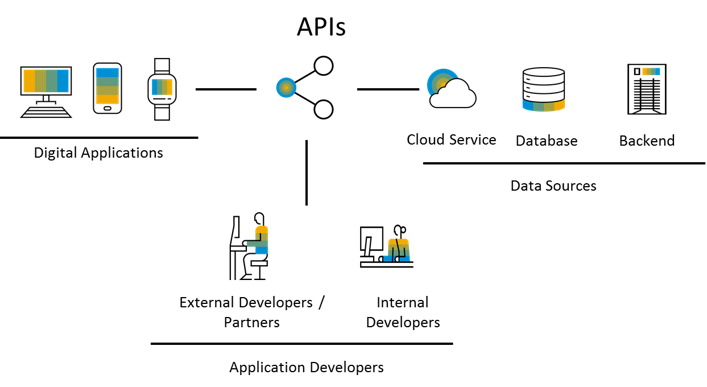 Real-time analytics from SAP Cloud Platform help you monitor APIs across various data platforms, SAP and non-SAP, alike. Scale up to billions of API calls, enabling you to unlock new opportunities, new business potential and additional value. Extend the solution with additional offerings and capabilities available on SAP Cloud Platform for mobile, offline and integration. 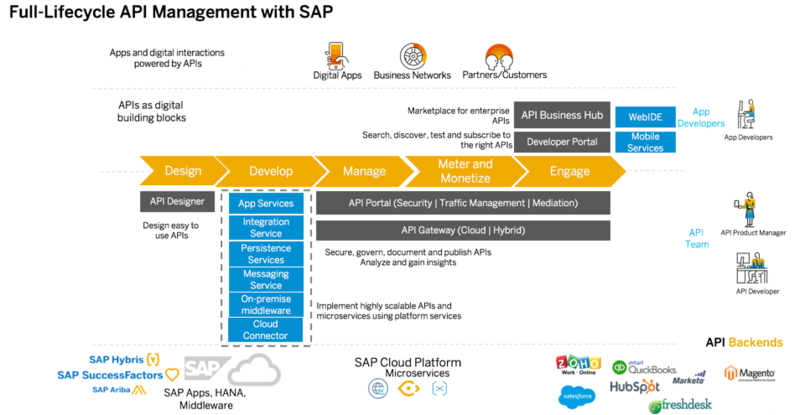 SAP Cloud Platform API Management lets you publish, promote, and oversee APIs in a secure and scalable environment. Access APIs seamlessly across heterogenous landscapes using one API platform.